Spoiler Alert: this is a discussion of the film for those who have seen it, or will never see it, or don’t need to be surprised by a film. Luna’s small screen #2 wasn’t even full for the 7:10pm Sunday sneak preview screening of the Coen Brothers’ new film, Inside Llewyn Davis. It should have been full; it’s a profound film, a bleak, existential film tempered by the Coens’ humour. The film is like life: repetitive, with so many unresolved threads. It follows struggling, self-destructive folk singer Llewyn Davis from couch to couch across New York and to Chicago in 1961. The road trip to Chicago is a case in point. He hitches a ride with a mysterious beat poet and a madman played by John Goodman. After the beat poet is arrested, he leaves John Goodman overdosed in the car. We never return to the characters; there is no resolution or explanation – just like life. The scene of Llewyn driving back to New York through the night in the snow is beautiful. He sees the lights of Akron, where his two year old child lives, a child he has only just discovered exists. We see him contemplating turning off the road to visit, and in a lesser film, or at least in a more conventional film, he would have. But in this film, he keeps driving. He can only see a little way ahead, and the snow is drifting down. He hits a shape on the road; it looks like the cat he abandoned. Coincidence drives the film, but it’s coincidence that leads nowhere – Llewyn loses a ginger cat, finds a different ginger cat, and runs over a ginger cat in the course of the narrative. It has significance for him, but it doesn’t resolve anything. Coen brothers’ canon is remarkable for its diversity and unity. There is something distinctive about their vision, whether they’re making a low-key musical drama or a brutal thriller. This film resembles most two of my favourites – The Man Who Wasn’t There (2001) and A Serious Man (2009) – a trilogy of films about loners up against a hostile world at different points in the twentieth century. 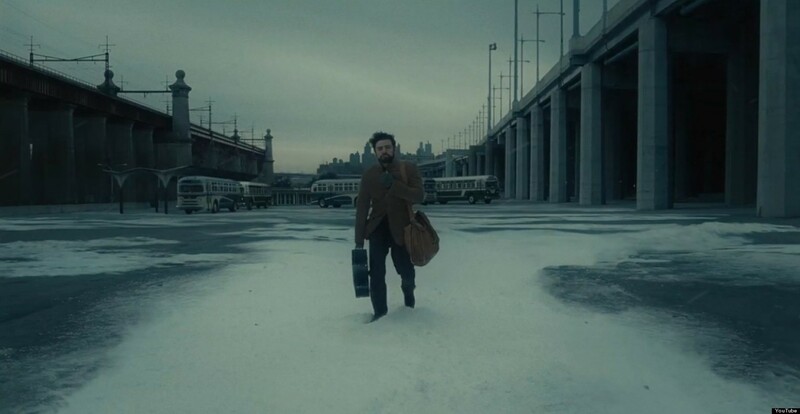 We don’t have to like Llewyn or identify with him to see a brutal truth about the cruelty of life in his story, in his missed opportunities, in his self-destruction, in the fickleness of fate. As a footnote, given it was a film driven by co-incidence, I felt a strange pleasure in the Coens using my surname for two of the characters – Elizabeth Hobby the middle-aged folk singer and her husband, the mysterious Mr Hobby who gives Llewyn a good punch in the face to bookend the film.